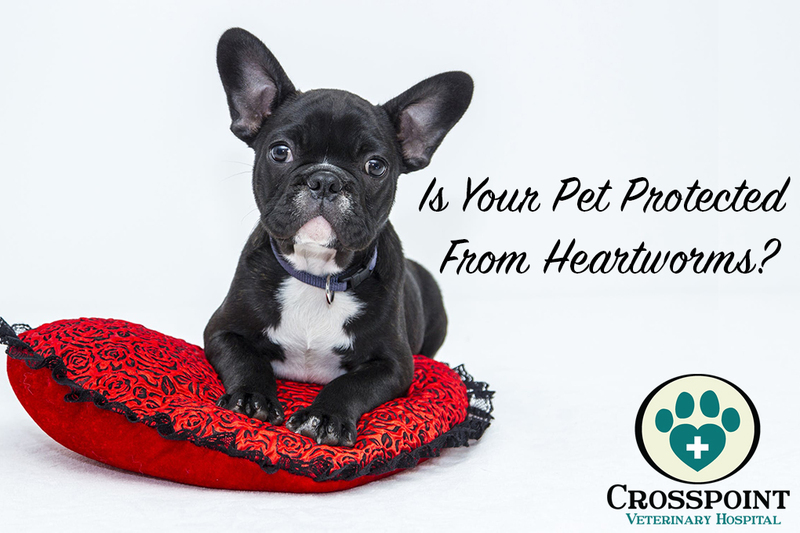 Heartworm disease is a serious and potentially fatal disease in pets in the United States and many other parts of the world. Heartworm disease affects dogs, cats and ferrets, but heartworms also live in other mammal species, including wolves, coyotes, foxes, and—in rare instances—humans. It has been said that every dog has its day, but one-of-a-kind canines with intriguing ancestries have TWO days dedicated to celebrating their diverse DNA. 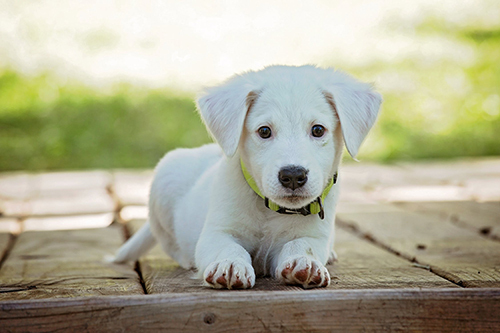 National Mixed Breed Day is observed twice a year – July 31st and December 2nd! Furrst things furrst, what is pet diabetes? 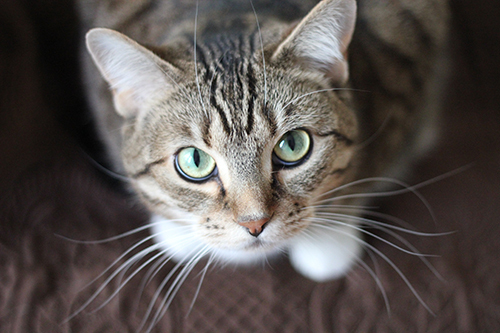 Pets with diabetes cannot produce or utilize insulin properly, preventing the conversion of food to energy. Say CHEESE, because this news is so exciting, it will have your pet companion smiling too! 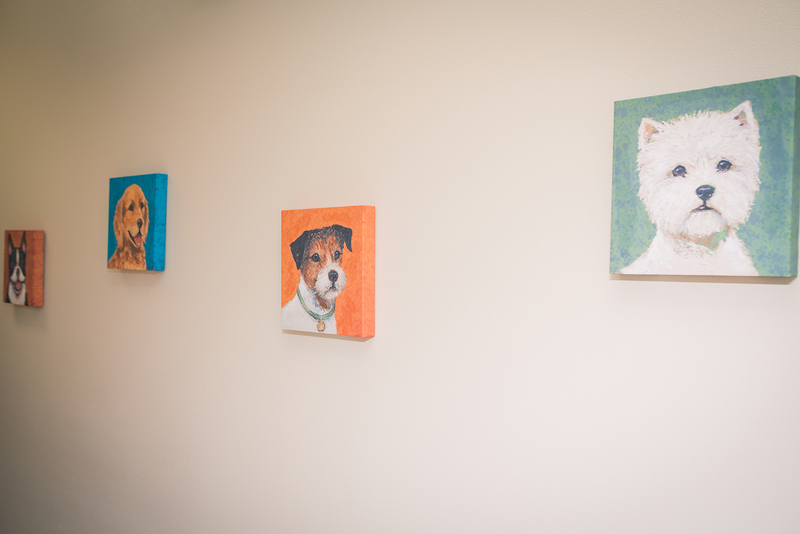 Here at Crosspoint Veterinary Hospital, we are offering a BONUS dental cleaning discount for the month of September! 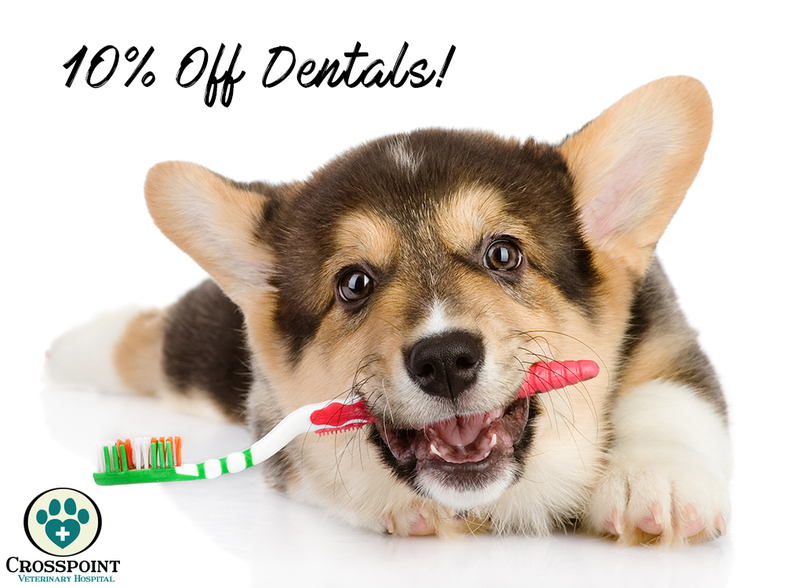 During this time, our clinic will offer 10% off the cost of your pets dental. 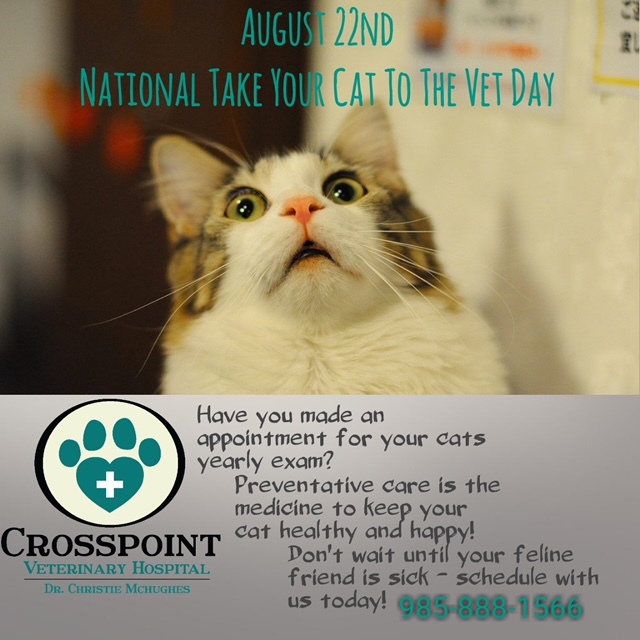 There is a national holiday for taking your furry friend to the vet! According to the American Humane Society, the only time cats visit the veterinarian is half as often as dogs, and many only go in when they are sick! And let’s face it, unfortunately cats get sick too. Although they are very good masters at hiding how they are feeling, they can endure the same diseases as humans and dogs can.